If you fancy something a little more geeky to replace the notes app on your iPhone, then you may want to check out the Star Trek Captains Log iPhone App. The Star Trek Captains Log iPhone App has a range of features, including notes, voice memo, and you can even map your coordinates via GPS. 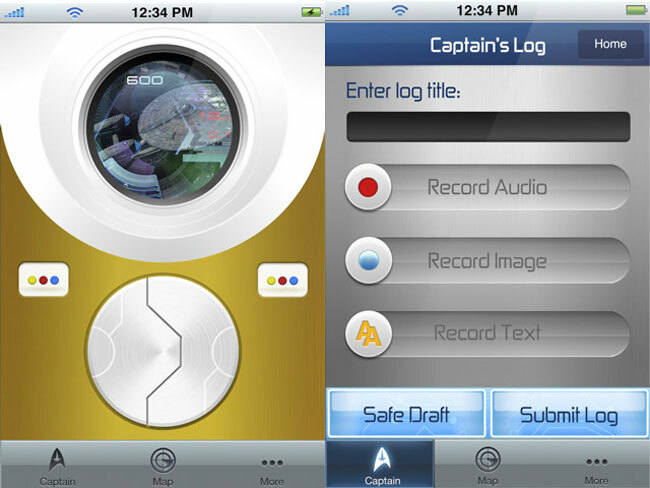 The future begins now with the official Star Trek™ Captain’s Log application. Open your Star Trek communicator to begin logging voice recordings, pictures, text, and GPS mapping locations of your voyages. Choose to share your logs with other Starfleet Captains, friends on social networks, or keep a log private. Personalize your communicator with different skins, sounds efx, images, and map pins corresponding to Enterprise class levels or an enemy starship. With the Gyroscope function, get a 360 degree view of the Enterprise. The Star Trek Captains Log iPhone App is available for $1.99 from iTunes.